Chagny takes flexibility and versatility to a new level. 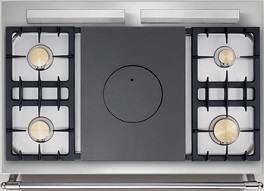 With its five-burner hob (or four burners and a simmer plate, similar to Cluny) and three separate ovens, Chagny is the perfect complement to your culinary creativity. 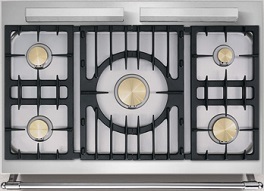 The smaller, high-performance broiling oven is ideal for pizzas and individual dishes. 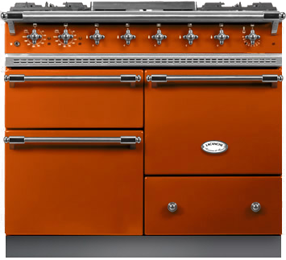 Because of its compact size, it heats up more quickly and keeps cooking time to a minimum. 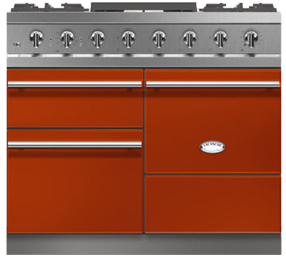 The two larger ovens are available in your choice of electric, convection electric or gas (right oven only). Chagny gets its name from a small town in Burgundy, nestled between two renowned wine regions, the Cote de Beaune and the Cote Chalonnaise. Since medieval times, Chagny has been known for its exceptional gastronomy, wines, and peaceful landscapes.